Choose your Virtual Business Address from the #1 Digital Mailbox network. Create a professional business image with your own virtual office address. Make it easy for prospects to find and contact you locally and in other cities. Market your business address on your website and in business directories. 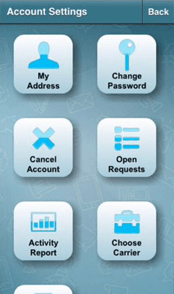 Manage your postal mail and packages virtually with our app or online! If you have a home-based business or you need an address for your business in another city, for as little as $9.99 per month you can now get a virtual business address that is a real street address. Upgrade your business image, register your company, and protect your privacy. 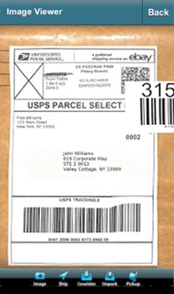 Receive postal mail and packages from any carrier at a secure location. 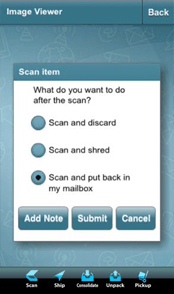 View and manage your mail from anywhere with an app or online. Even deposit a check. Add phone and fax for a complete virtual office presence. Choose the Virtual Business Address Plan that's Right for You! Setting up a virtual business address with iPostal1 is easy. You can choose one or many addresses in different locations. It only takes a few minutes to get a business address. Choose a Plan. 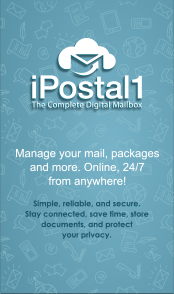 iPostal1 offers Digital Mailbox plans based on how much mail you expect to receive a month. Virtual Office plans provide a local or toll-free phone and fax number. Choose an Address. Select from over 700 addresses in the U.S. and other countries. Set up a virtual business address in multiple locations to create a broader market presence. Checkout. At checkout, provide your personal information plus credit card or PayPal account. File Form 1583. If you chose a U.S. address, upload Form 1583 directly from your digital mailbox. This form is required by the United States Postal Service, along with two forms of ID, to receive and manage your mail. iPostal1 helps you do this, so it’s easy. Redirect your mail. If you have been using a dedicated business address, file a Change of Address form with your local post office or file online with the USPS. 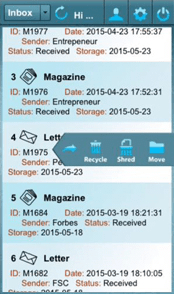 Inform business contacts of your new business mailing address.